Okay, so with me being a mom, currently pregnant, in college, working as a substitute teacher, and transitioning from military life to civilian life (which includes living with family, all our stuff in storage, and house hunting)...I'm basically always busy. Today I wanted to talk about Jif's photo contest they have going on right now through October 1st, 2014. 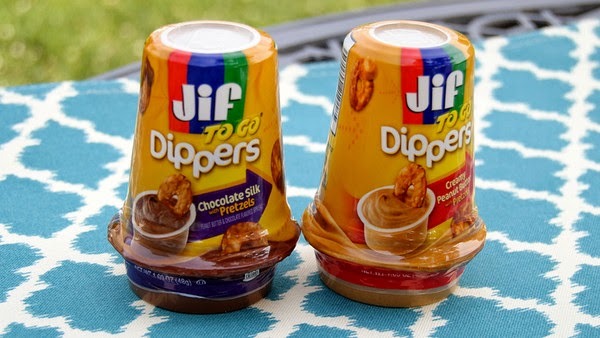 Jif To Go is asking fans to share pictures about how they get going. You can enter one a week for a chance to win $1000 (awesome!) for your next adventure. For more information on the #GetGoing promotion, please check out the official rules here and check out Jif on Instagram, Facebook, and Twitter. The #GetGoing photo promotion is open to legal residents of the 50 United States and D.C., 18 years of age and older. Void where prohibited. No purchase necessary. See Official Rules for complete details. I am hoping to post some #GetGoing pictures very soon to my Instagram. My dream vacation is to finally take the kids to Disney (in Florida), but with me being pregnant right now, we'd probably have to take a mini one to my favorite local theme park: DOLLYWOOD :) For those who are like "What on earth is that?" - Dollywood is here in the great Smoky Mountains and is the creation of the amazing and wonderfully awesome Dolly Parton. I haven't been in the longest time and would love to get going over there. Of course, it's a shame I can't ride the Tennessee Tornado rollercoaster....but I know they have the country fair going on right now and that's one of my all-time favorite times of the year to go to Dollywood! All the fair food and fair rides are just the bomb dot com. Plus my kiddos have never been to Dollywood and I know they would love it. If you won the $1000, where would you want to go? ?